Traditionally the day of the Vigilia (Christmas Eve) was a day of partial fast, during which no meat is eaten. 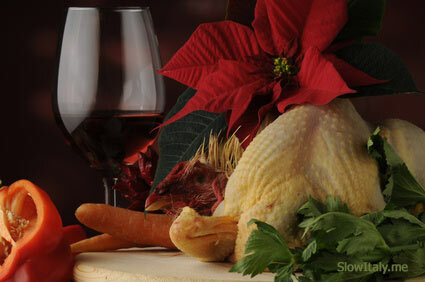 Therefore, the Italian Christmas Eve menu is typically composed of a variety of fish dishes. 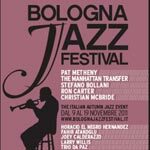 Instead, the pranzo di Natale on Christmas day being one of the most important family traditions in Italy, it is usually a lengthy affair, with a very rich and bountiful menù di Natale, spanning over several hours. A typical Italian Christmas Eve dish is anguilla marinata (soused eel) or baccalà (cod fish). Alternatively eel can also be served roasted or fried. Various types of shellfish (mussels, clams and other shells, as well as small crustaceans) are served as antipasti misti or together with pasta. A delicious and refined version are linguine all’astice (linguine with lobster). The Feast of Seven Fishes, a tradition popular among Italo-americans that was celebrated by the early immigrants and consists in eating seven different types of fish prepared in seven different ways, is not something observed nowadays in Italy. The only important tradition, really, is to not eat meat on the Vigilia (Christmas Eve), but what types of seafood and fish are chosen and how they are being prepared is completely up to the host. 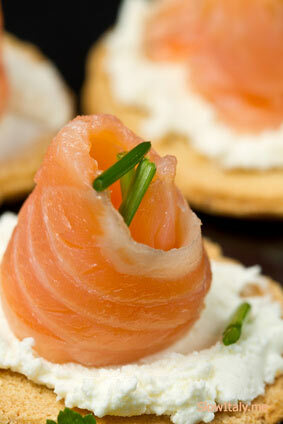 A favorite appetizer are bread slices spread with butter, ricotta, or mayonnaise and topped with smoked salmon. Personally I prefer ricotta (fresh sheep cheese) or goat cheese over butter or mayonnaise. 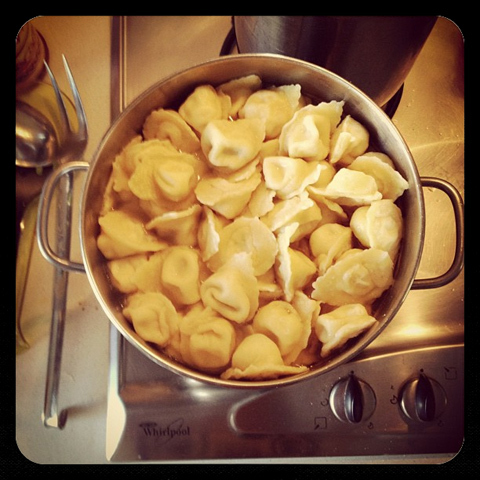 A typical pasta dish on Christmas Day the 25th are cappelletti or tortellini in brodo. Brodo is often translated as ‘broth’ in English, but actually what comes closest is consommé. 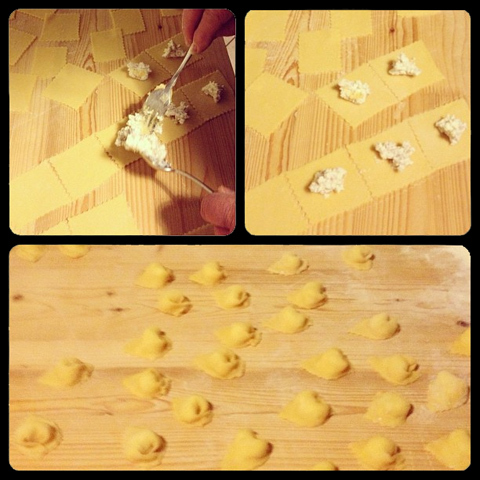 Cappelletti (a type of stuffed pasta) are traditionally from Emilia Romagna, but elsewhere the dish is called tortellini in brodo, whether actually prepared with cappelletti or tortellini. The brodo is made with chicken and/or beef, celery, carrots and onions. THE main dish par excellence on Christmas Day is stuffed capon. The stuffing consists of sliced meat (veal) and sausage meat (pork), chestnuts, a bit of white wine or Marsala and a little parmesan cheese to which all sorts of spices and other ingredients can be added according to personal taste. 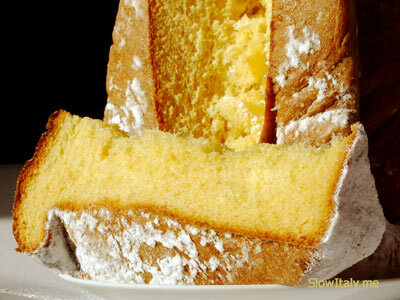 Originally from Milan, this cupola shaped sweet bread is common all over Italy. 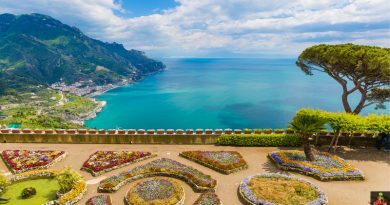 Traditional panettone is studded with candied fruit and raisins, but many other variations have become popular, too: panettone with chocolate cream, with Grand Marnier, with champagne cream, with figs and chocolate,… there is something for every taste. Panettone requires a long preparation time involving seven stages spread over three days before baking. This is mainly because lievito madre is used instead of oridinary brewer’s or baker’s yeast in order to obtain the distinctive fluffy texture. 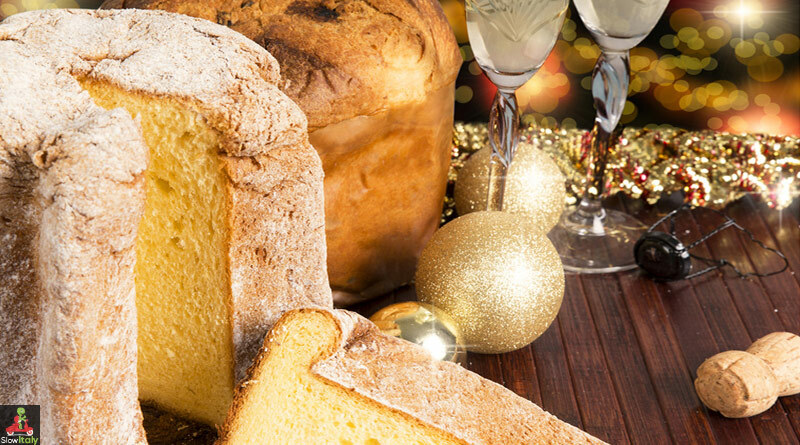 Pandoro, traditionally a Veronese sweet bread, is now almost as popular as Panettone. It is star-shaped and dusted with powdered sugar. The sugar comes in a separate packet and is sprinkled over the bread just before slicing. 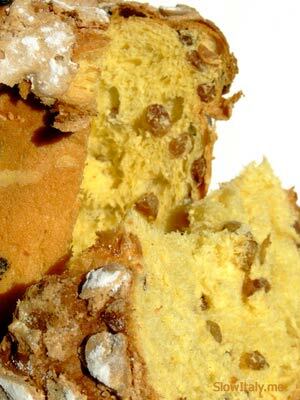 Pandoro never contains candied fruit, which is why some prefer it over panettone. Photo credits (top to bottom): Pandoro and Panettone featured © Fabio di Natale/fotolia; Christmas still life © Comugnero Silvana/fotolia ;tartine al salmone © Lsantilli/fotolia; cappelletti in brodo by Ro / wererabbit; panettone © citylights/fotolia; pandoro © citylights/fotolia.